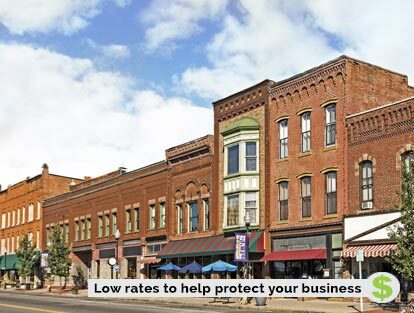 Save On Commercial Property Insurance! 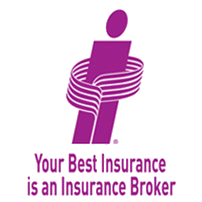 ThinkInsure insurance experts know that your Ontario business is unique and has specific insurance needs. We have flexible insurance that can be tailored for your needs and budget. Loss or damage to any of your business property can bring your business to a standstill. But when you have the right commercial property insurance, you don’t have to worry that your livelihood is at risk of failure from loss or damage. Your property insurance will protect your buildings and contents – including equipment, furniture, computers and inventory. Offer Insurance Expertise & Advice : Our licensed commercial insurance experts will assess your business needs, identify risks and offer advice so you'll get the best protection. Get You Best Coverage : We’ll research and compare from our extensive network of commercial insurance providers to get your business the best coverage. 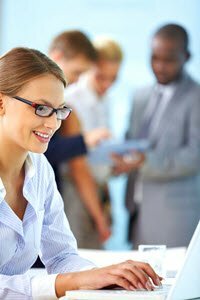 Custom & Cost Effective Solutions : We'll work with our insurance partners to create an insurance solution that meets your business needs and budget. Personal Customer Service All ThinkInsure customers get a dedicated commercial insurance expert to take care of their insurance needs. And in the event of a claim, we'll work hard to help minimize the interruption to your business and be there for you every step of the way. Speak to a ThinkInsure commercial property expert and make sure your business is protected properly. We'll answer all your questions and find you the best rates. Call toll-free 1-855-550-5515 or request a quote online. Loss or damage to your business property can be devastating. Imagine the costs required to replace manufacturing machinery, your computers or several months of inventory. Correctly insuring your commercial property and assets can be confusing and complex. Our job, as commercial experts is to get the best terms and coverage to protect your business. We will research and find – from our multiple commercial insurance partners – the optimum coverage for your business – flexible enough to meet your needs, comprehensive enough to make sure your are thoroughly covered and all at an affordable price. Commercial Business Insurance offers excellent coverage for your business assets. Our brokers will guide you through insurance solutions – providing expert, unbiased advice along the way.